Early last month, Cadillac officially confirmed that the Cadillac ATS will begin production during the summer of 2012 at the GM Lansing Grand River Assembly plant. The announcement also included the first official photo of the upcoming compact sports sedan. Unfortunately, the darkened photo only showed part of the vehicle, and not the entire thing. But after some fun time with a few image-editing applications, we were able to make that photo a bit more revealing. 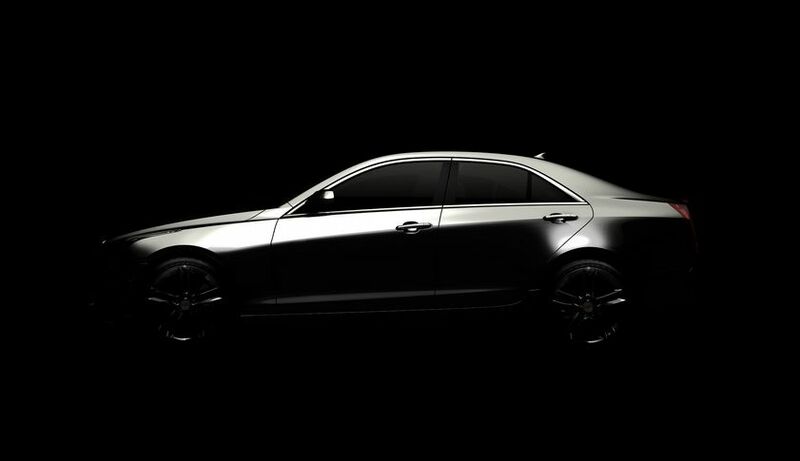 As you can see, the ATS will bear a resemblance to the current second-generation CTS, with sharp, angular lines in the front and rear, while the side profile encompasses an upward-sloping character line reminiscent of the 2012 Mercedes-Benz E-Class. As far as little details are concerned, the compact Caddy features wing mirrors mounted right above the belt line (as opposed to being mounted on the doors), some hefty disc brakes, and a set of Good Year shoes. Do you notice anything that we didn’t? Sound off in the comments! It sure does. I think the biggest part of this car that will surprise everyone will be the front… and the interior. Why the interior? What will be surprising about that? Yupp, Caddy’s interiors are going to get a major re-thinking for the next-generation of vehicles. They’ll get a touch-sensitive layout as well as a Chevy MyLink-like infotainment system. Right! Is that with those awesome platforms sourced from Ford? You haven’t seen the car or it’s mechanical details so how can you say it’s horrible. While I have confidence in Lincoln, Ford is now starting what Caddilac started with the introduction of the CTS-V years ago, even though Ford is reinvigorating the brand faster than GM it will take at another generation of lincoln vehicles, after the ones coming out 2012,2013, for Lincoln to catch up to Cadillac. and It will probably take a decade from now for Cadillac and Lincoln to regain their former status and truly challenge each other and the likes of MB and BMW. Agreed. Only thing is, Lincoln won’t be competing with BMW, MB, or Caddy. They seem content on gong after the soft-luxury market where Buick and Lexus compete (or at least try to). So your’e saying that a ford fusion with standard leather is better than the highly acclaimed CTS-V, the fastest production sedan in the world. Oh yeah, that MKS is something, isn’t it? A car where the brand name has to be written out on the dashborad as some kind of cancerious “badge of honour” to remind the driver what kind of car they’re driving. Until Lincoln can be given more freedom from Ford (say it’s own platform and parts) than Lincoln is down there with Acura and all the other crashing non-issues. That has already happened with Lincoln, in a quasi sort of fashion. They now are closer to the Lexus model than they were before, with a separate product planning staff and design studio. We just haven’t seen the fruits of their labor yet, and probably won’t until mid-2012. Although Linc will have a stunning display at NAIAS.